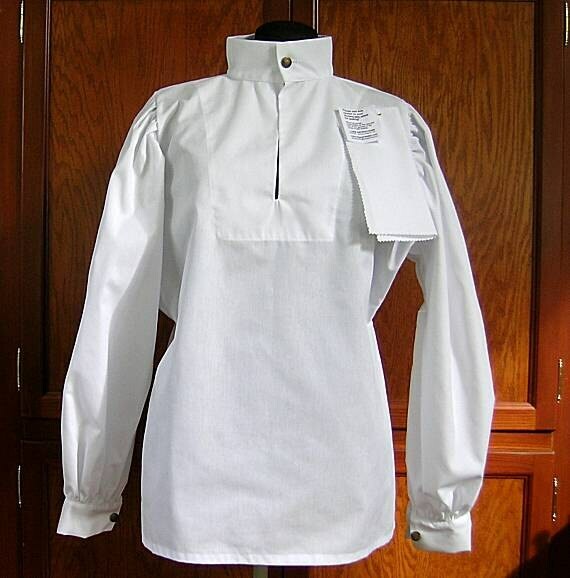 The basic Gipsy Peddler gusseted rapier shirt is made of trigger sports cloth and is to be worn with one of our doublets (or equivalent) to make it legal for rapier in the SCA. 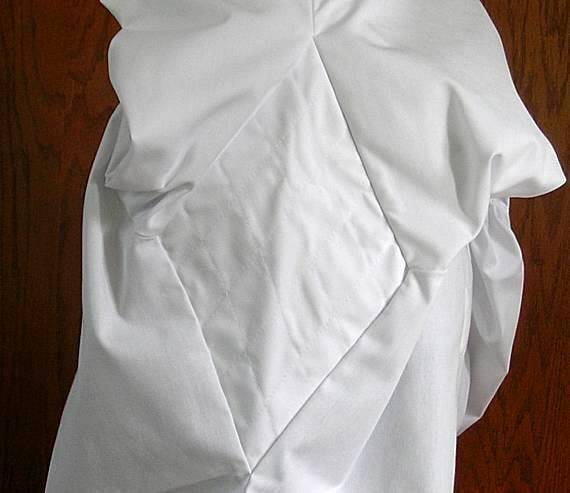 It has double sewn seams and 4 layers of fabric in a quilted underarm gusset (see picture). Machine wash and dry. Made in the USA by us from our patterns! 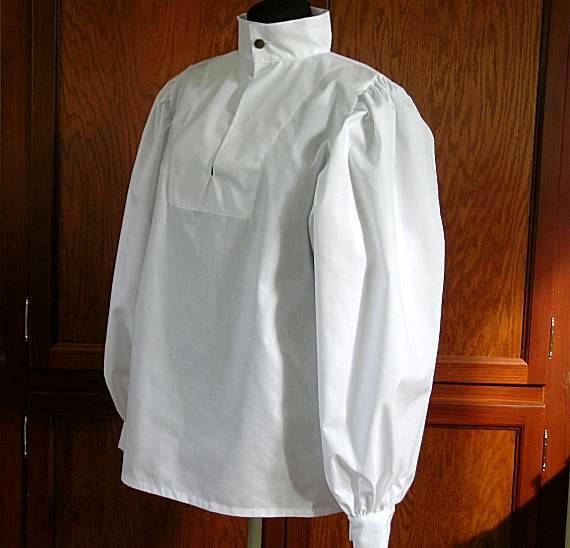 This shirt has antique metal buttons and buttonholes at the collar and cuffs. Antique silver or Antique gold. 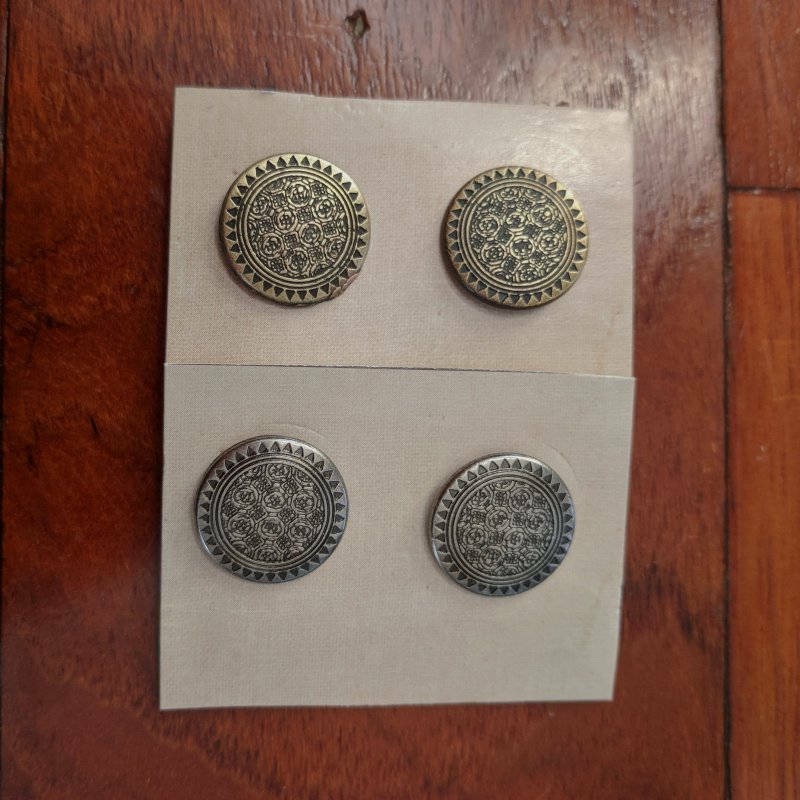 They are the same buttons used on most of the doublets. MADE TO ORDER: This shirt will be added to the production schedule which usually takes 4-6 weeks before shipping. Please let us know when you need your order and we will try to work it into the schedule sooner. Please check our "In Stock" shirt listings, if you need one right away! 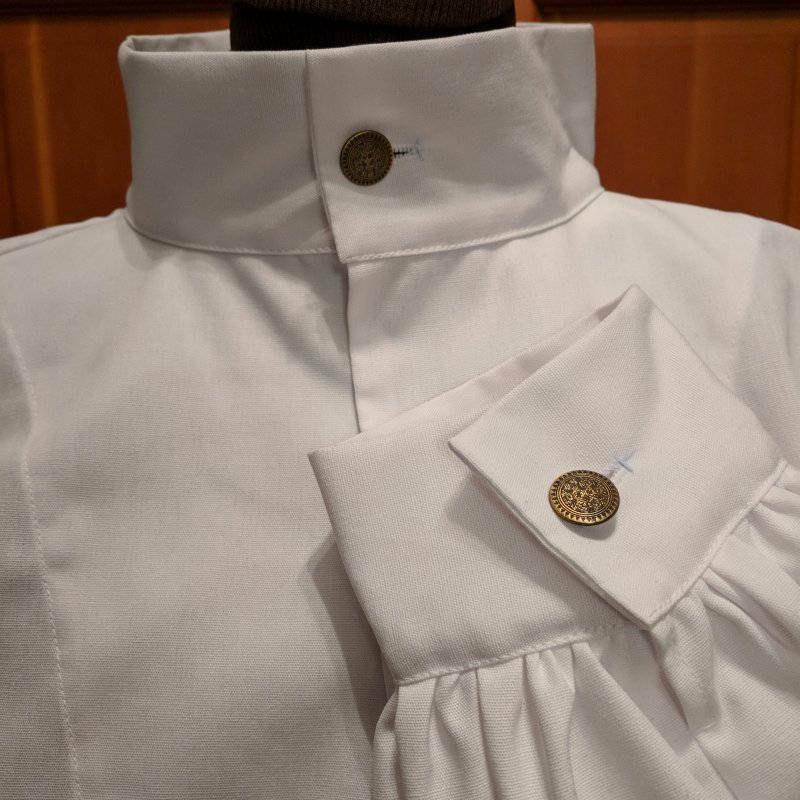 We have a few sizes of these available in a separate listings as well as faux blackwork trim shirts and faux redwork trim shirts ready for shipping. 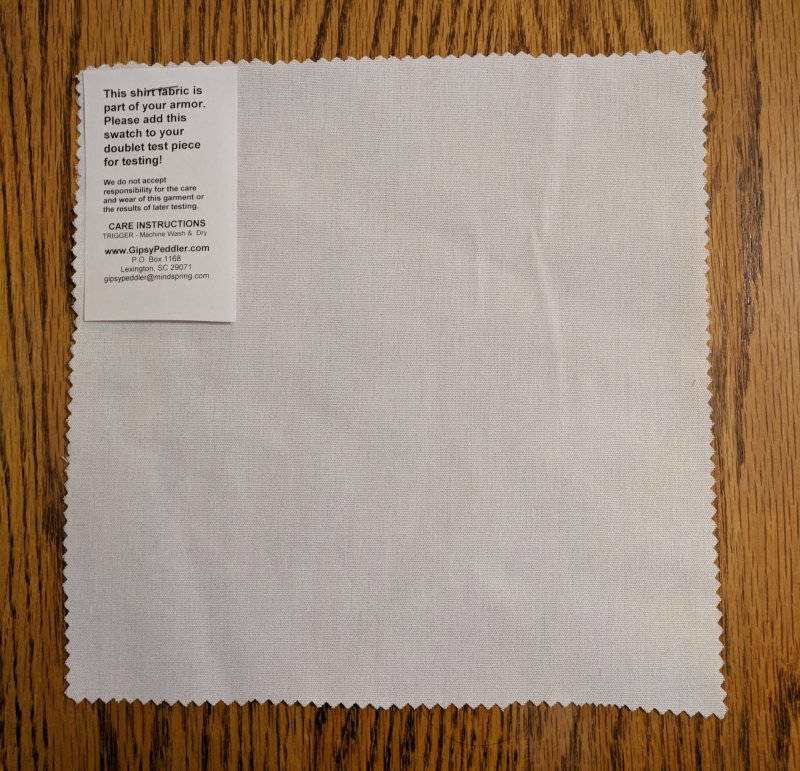 Want to start off with saying the shop was so very helpful with my order, helping my me figure out my sizes, and picking colors. I felt a little silly at first with the poofy sleeves, but after getting every thing on and seeing myself in the mirror it just felt right. 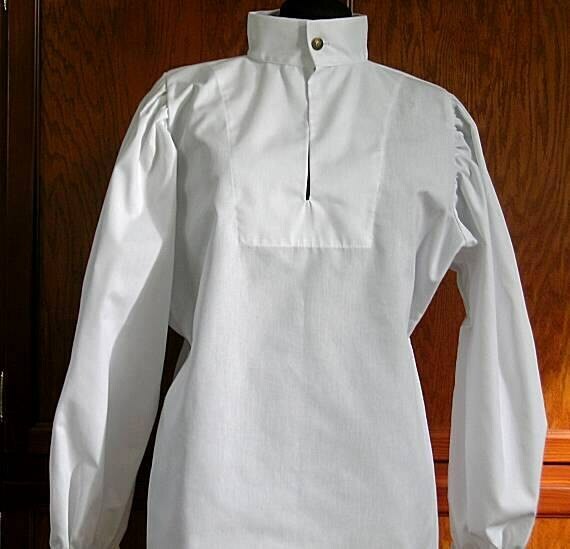 The blouse can also be used with other costumes as well. I plan to use it with my assassins creed jacket to give it a bit of flare. Also The poofy sleeves and deep color lend well to hot days. I'm grateful for both.